The game of golf was originally intended to be played while walking. Walkability is an important factor many people take into account when selecting to join a golf club. In our area, Sierra View Country Club is one of the very few courses ranked by The Walking Golfers Society as “Easy To Walk.” You can scroll through the rankings on their website and compare the courses by location. 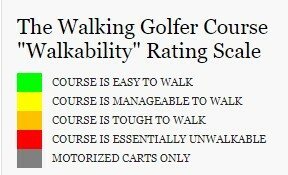 We recognize that not everyone is physically able to walk even the most walkable golf course. Golf carts and some of the new riding gizmos are the answer for those who need them. If walking while golfing is important to you, ask to play a preview round at Sierra View. We’ll hook you up with one of our walking members for a fun 9 or 18 holes. The course is in amazing shape. You’ll be impressed!